"Bioweapons also constitute weapons of mass destruction and, for decades, the government of Syria has pursued this capability to complement its massive chemical weapons arsenal," Cornyn wrote. 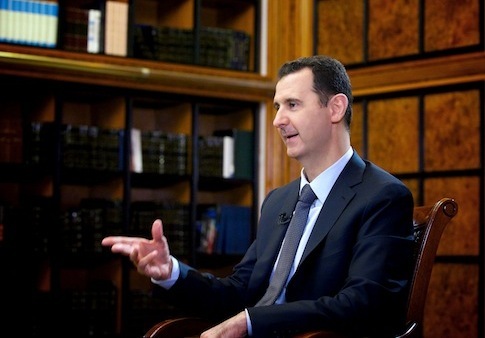 "I urge you to ensure Syria's biological weapons are included as an equal component of any plan." Cornyn said that while he remains "highly skeptical of Russia’s true intentions" in proposing a plan to disarm its ally Assad, he believes that "omitting Assad’s bioweapons from any agreement would represent a gaping hole in the plan and would not adequately protect U.S. national security interests." "Assad’s bioweapons, either in his hands or the hands of terrorists, represent a direct security threat to the U.S. and our allies," Cornyn wrote. "In many ways, bioweapons can be easier to hide, transport, and employ than chemical weapons, making them a potentially even graver threat." "If weaponized biological agents, their component materials, or even technical manuals were to fall into the hands of Hezbollah or another terrorist group, this would be a direct threat to the U.S. and our allies, particularly Israel," Cornyn wrote. "For example, one small vial of Anthrax employed effectively could inflict devastation on any American city." "Based on the duration of Syria’s longstanding biological warfare (BW) program, we judge that some elements of the program may have advanced beyond the research and development stage and may be capable of limited agent production," Director of National Intelligence James Clapper wrote in an unclassified April report. "Syria is not known to have successfully weaponized biological agents in an effective delivery system, but it possesses conventional and chemical weapon systems that could be modified for biological agent delivery," Clapper concluded. Anthony Cordesman, a former director of intelligence assessment in the Office of the Secretary of Defense, noted in a 2008 report that Assad is believed to have "an offensive biological weapons effort." Assad was known to have an "extensive [bioweapons] research effort" at the time the report was published. Evidence indicated there was at least "one underground facility" and another "near the coast." These facilities were believed to have a "production capability for anthrax and botulism, and possibly other agents," Cordesman wrote in the report, which was published by the Center for Strategic and International Studies (CSIS). "Israeli sources claim Syria weaponized botulinum and ricin toxins in the early 1990s, and probably anthrax," according to the report. There were also "limited indications" that Assad "may be developing or testing biological variations on ZAB-incendiary bombs and PTAB-500 cluster bombs and Scud warheads." This entry was posted in National Security and tagged Bashar al-Assad, Congress, John Cornyn, Obama Administration, Syria. Bookmark the permalink.